So my wife got me a drone – it came as a ton of bits. I Googled around but did not really find an all-in tutorial on how to put all the bits together to make something that might fly, so I decided to wing it (hahahaaa). I started with half building the frame then got sidetracked by the flight controller. Revolt v3 Flight Controller. Image from Ace Company where my wife ordered it. The flight controller I have is a Revolt v3, by RaceFlight. On the package, it says ‘Get documentation at www.revoltfc.com‘, so that’s where I went. The website has a series of videos but rather throws you in the deep end at the get-go @DFU Flash Revolt. Stick the Revolt v3 in DFU mode as per the official video, by “jumpering the two jumpers” and plugging into USB on your PC. I actually think there’s just one jumper – you…or your tweezers. I have no idea what the things you are jumping are called. Contacts? Jumpees? The (blue) light ought to come onto indicate DFU mode. Incidentally, DFU stands for Device Firmware Upgrade…I think it’s an iPhone thing. I’m running Windows (win10). It installed some drivers when I plugged in (in DFU mode) and then told me my ‘STM32 Bootloader’ device was ready‘. The Official video tells you to need to change this to Win32 drivers. Do what it says in the official video, switching STM bootloader to Win32. Your Revolt v3 flight controller module should still be plugged in (I never told you to unplug it) and still in DFU mode (with the blue light). When you load FlightOne following the careful instructions above it’ll detect DFU mode (now you have the driver set as WinUSB – would not have worked if you tried with STM32 Bootloader driver). 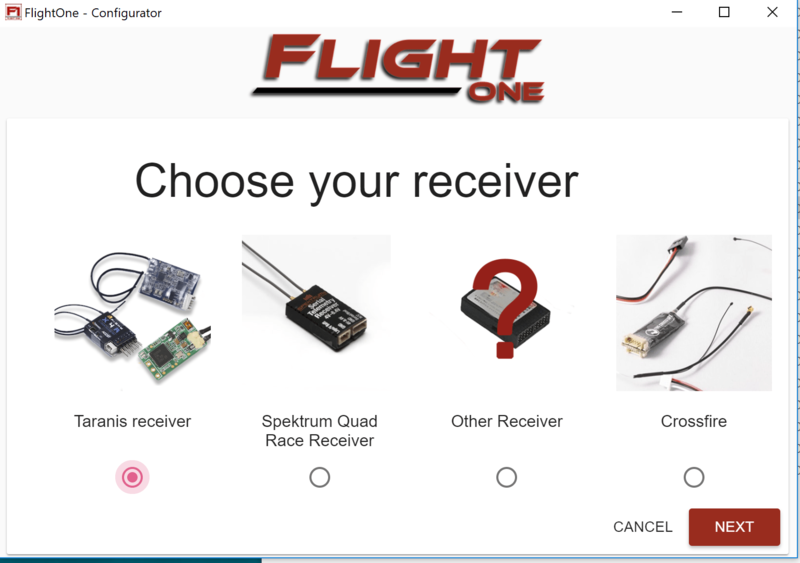 FlightOne will now give you the opportunity to upgrade the firmware. When done, close the FlightOne software, unplug the Flight controller from USB, restart FlightOne and plug back in the USB. 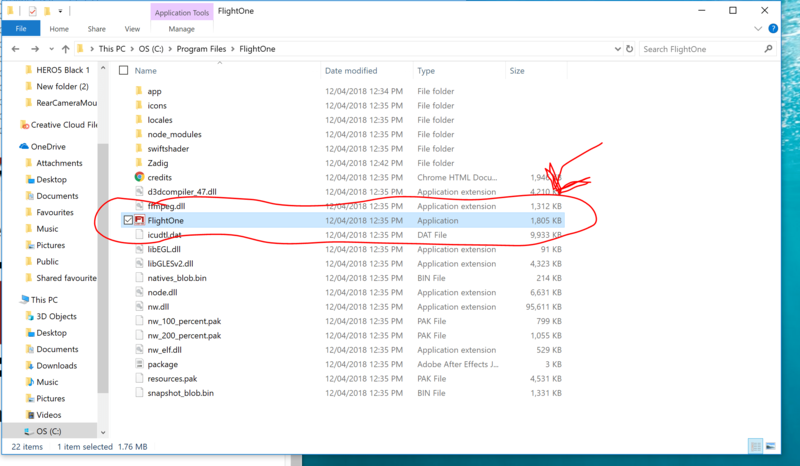 Now you should be into the FlightOne software proper (it’ll detect your Revolt) and you’ll proceed with a bit of setup. Taranis. I recognised the word, and the green one looks like the one I have. Incidentally, Taranis was a Celtic/ Gaul god: the god of thunder. apparently, when the when Romans they rolled the hordes Taranis came to be syncretised with Jupiter…the big guy on Mt Olympus.